(94.) 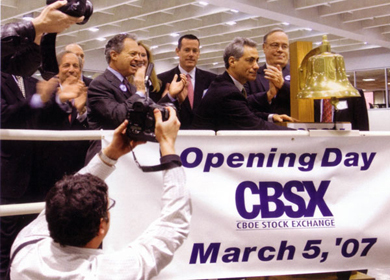 CBOE Holdings S-4, April 27, 2010, https://www.cboe.org/publish/secfilings/2764080_49501T92_CNB.PDF, 104, 110. (96.) Barron's, May 31, 2010; Financial Times, January 11, 2006, and February 22, 2006; CBOE Annual Reports, 2007 and 1994. (97.) CBOE Holdings S-4, 133-34.